MUTIARA Damansara translates to The Pearl of Damansara and this township in the north of Petaling Jaya, Selangor is certainly shining like a gem for those who initially bought properties there. There are two components to Mutiara Damansara — 300 acres of residences and 60 acres of its commercial component which is further subdivided into 60% retail and 40% corporate offices. 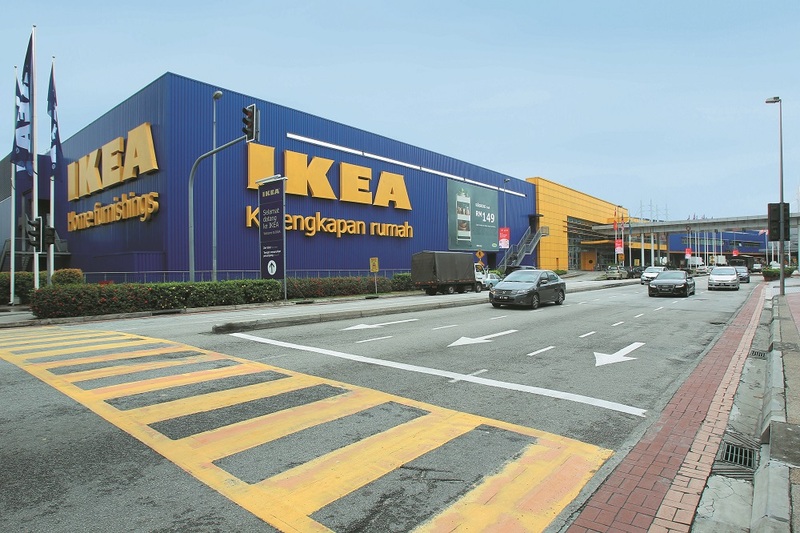 Its retail precinct comprises The Curve shopping centre, Tesco Extra Mutiara Damansara, eCurve and IPC Shopping Centre — home of the first IKEA standalone store in the country. 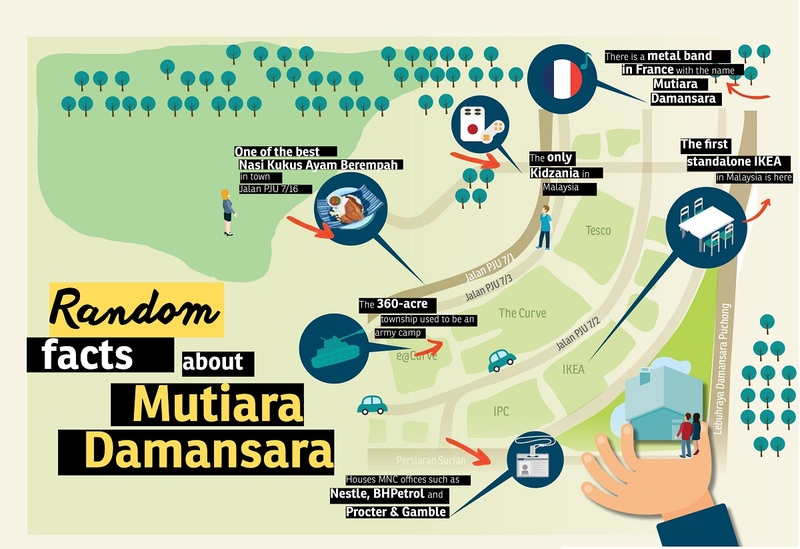 “The site belonged to Lembaga Tabung Angkatan Tentera (LTAT) and was formerly an army camp,” recalls Mutiara Damansara’s developer Boustead Holdings Bhd’s property divisional director Datuk Sri Ghazali Mohd Ali. Freehold residences in Mutiara Damansara consist of about 600 units of double-storey terraced houses, 350 units of bungalows and semi-detached houses, 700 units of high-end condominiums, and around 700 units of low-cost and low-medium-cost apartments. “We wanted to develop the township only after we had a main anchor tenant. In this case, we had IKEA. We sold the land to them at RM99 psf more than 10 years ago. The latest price offered to us for a piece of commercial land is about RM1,250 psf. The last transacted price was RM950 psf in May 2014. You can see how much real estate values here have appreciated over the course of 10 to 15 years,” says Ghazali. Based on the transacted land price shared by Ghazali, that would be an appreciation of over 860%. He also noted that the 2-storey terraced houses which were first launched in 2000 at RM350,000 are currently being transacted for over a million ringgit. According to LaurelCap Sdn Bhd managing director Stanley Toh, the asking prices for these 20ft by 70ft terraced homes range from RM1.3 million to RM1.4 million on average. “The property prices have appreciated about 300% or an average of 18% per annum since their launch,” he says. Based on data collated by TheEdgeProperty.com, transactions of these houses are extremely rare. For instance, there was only one transaction in 1Q2014 which was transacted at RM772 psf which is a 3.76% y-o-y increase from the average price psf of RM744 psf recorded in 1Q2013. However, it could be observed that prices have peaked in 2014 overall (see graph). Despite the ongoing property market slowdown, homeowners seem to be hanging on to their properties and demanding premium prices. 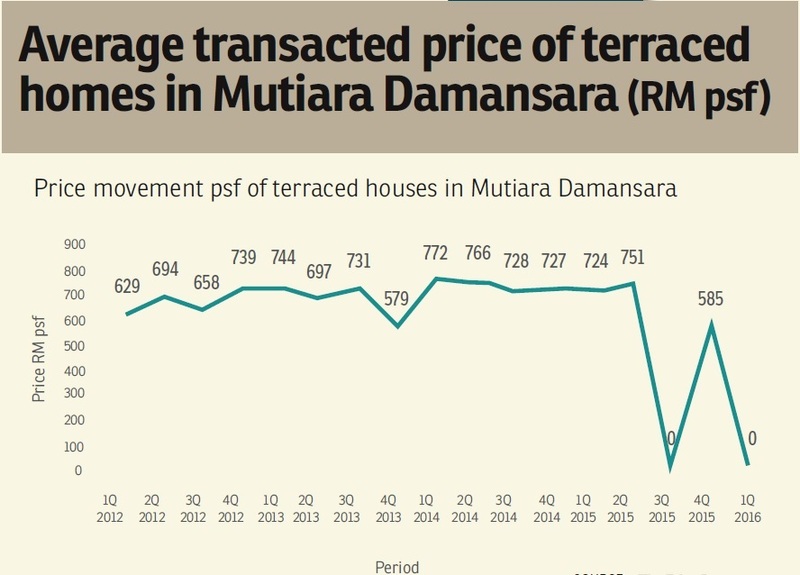 For instance, the average asking price of terraced homes here based on listings on TheEdgeProperty.com as of August 2016 was about RM867 psf, which translates to a whopping RM1.91 million per unit! According to Toh, it is not surprising to see how high prices of properties in the township have risen over the years. “The township is located in a very prime and strategic location. To begin with, it is located adjacent to Bandar Utama, which is already a very sought-after location,” says Toh. In addition, the area has very good road access leading to Lebuhraya Damansara-Puchong (LDP) as well as to Kota Damansara, Damansara Perdana, Tropicana, Taman Tun Dr Ismail, Mont’Kiara and Desa Sri Hartamas via several highways, including the Penchala Link and the North Klang Valley Expressway. He notes that the township became even more vibrant after the opening of The Curve and IPC Shopping Centre (formerly known as Ikano Power Centre) where IKEA is. 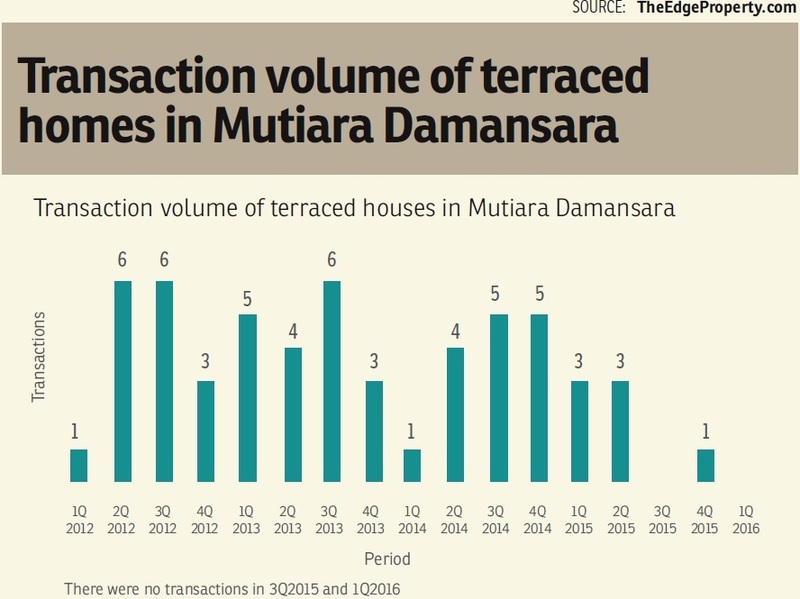 Toh says landed homes in Mutiara Damansara are on par with those in neighbouring Bandar Utama in terms of appreciation rates and pricing. 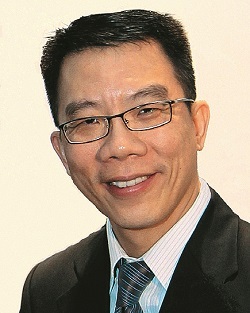 According to Nawawi Tie Leung managing director Eddy Wong, the area’s connectivity and ample amenities are the townships’ main pull factors. “The downside is the traffic congestion during peak hours on weekdays and peak shopping hours on weekends. There is also a need for a primary school to be built to cater to the needs of the residents nearby,” Wong says. There were initial plans for a primary school to be built in Mutiara Damansara but the 6.1-acre site located just adjacent to the medium-cost apartments is currently vacant. “We could either develop a primary or international school in the area. Alternatively, we might develop more residences,” offers Ghazali. 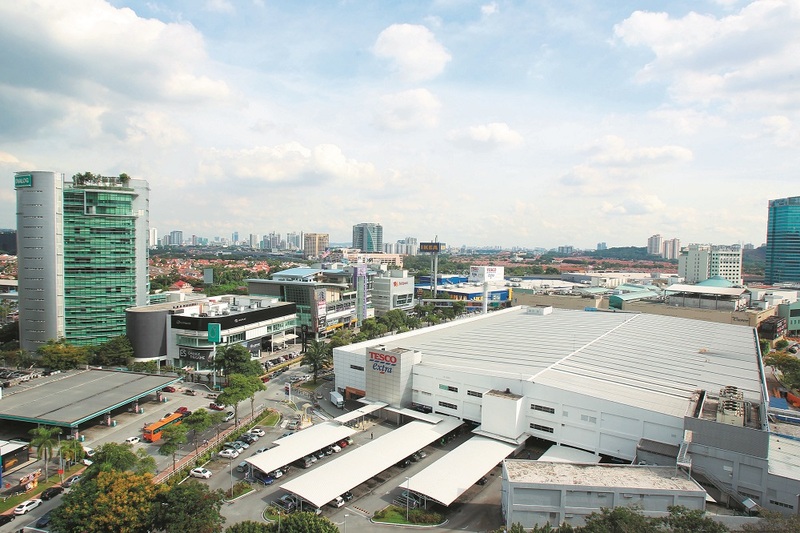 When it first began developing Mutiara Damansara, the developer knew it has to stand out from its neighbours such as Bandar Utama and Kota Damansara. “We weren’t trying to compete with them, because in terms of maturity and size, they were way ahead of us. Our priority at that time was to ensure that we delivered a well-planned, low-density quality township, where the commercial and residential components were clearly separated,” he says. “For our mall (The Curve), we went niche as a family and children-oriented mall. We have Lego as a tenant and they are doing extremely well. On top of that, we have a family entertainment centre, Kidzania — the only one in Malaysia,” he says. Mutiara Damansara is set to see the opening of a Mass Rapid Transit (MRT) station, a station along the Sungai Buloh-Kajang MRT line. The station will be located right in front of Surian Tower. 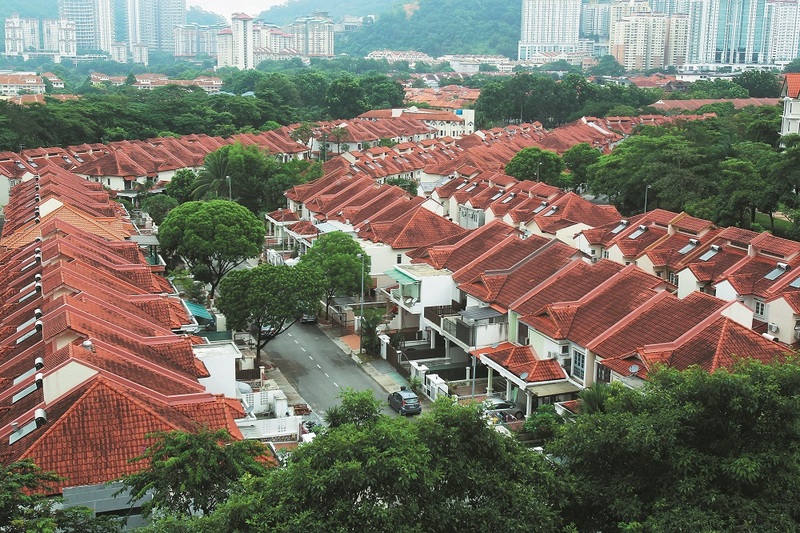 Wong notes that such improvements in connectivity and infrastructure will boost property prices in the area even further. “Properties near or next to MRT stations will command a premium due to the appeal of added convenience and improved accessibility,” he says. Laurelcap’s Toh concurs. “Property prices in general will definitely increase. Boustead Group’s subsidiary, Mutiara Rini, would be the prime beneficiary as The Curve has direct access to the Mutiara Damansara MRT station. Surian Tower’s asking rentals are between RM5 psf and RM6 psf per month. In comparison, other office buildings such as Menara Mudajaya and Menara TSR located a bit further away from the station are asking between RM4 psf and RM5 psf,” offers Toh. “In addition, the MRT station would be a factor for tenant retention especially for shopping centres like The Curve and eCurve in light of future competition from the upcoming Empire City Mall in neighbouring Damansara Perdana,” Toh adds. The area is set to see the completion of a new serviced apartment project launched in 2012 — the Reflection Residences @ Mutiara Damansara, a 39-storey serviced apartment with 299 units by Glomac Bhd and Al Batha Real Estate Company. “The project had shown strong sales. When it was first launched, it was priced at RM750 psf. Today, it could go for about RM900 psf,” says Toh. According to Ghazali, Boustead has remaining projects worth a gross development value (GDV) of about half a billion ringgit in Mutiara Damansara. “The residential component is almost fully developed with about 10 acres of land left. This will constitute some bungalow lots and some land for sale which we are looking to start selling next year. We also have a few corporate lots left to be developed at the commercial portion,” he offers. Meanwhile, on the retail side, Ghazali reveals that its major anchors at The Curve shopping mall will be revamping their store concepts. “We are looking at replacing expiring tenancies of some major anchors with contemporary brands,” he says. “There has also been word that there may be another transit link [aside from the Sungai Buloh-Kajang MRT line] that will pass Mutiara Damansara near the LDP so we may see another station serving the township,” Ghazali reveals. “For potential homebuyers, it would be a good time to hunt for good buys in the area. There may be some owners who are willing to reduce their asking prices in light of the current market slowdown. However, investors would most likely have to wait five to seven years to see a decent increase in value,” Toh offers. According to Toh, due to the current poor market sentiment, the short-term outlook for the area would see prices maintaining at current levels. “I do not think there will be fire sales. Property owners here will either hold their properties or their prices,” Toh says. 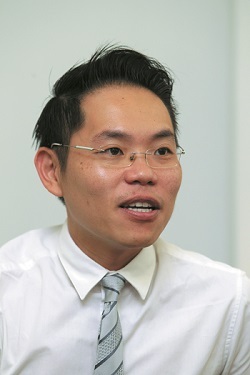 Meanwhile, Wong believes that now is the chance for potential homebuyers to look for good deals. “Prices peaked in 2014 in line with the overall property market performance. The long-term outlook is positive due to its location and amenities in the area as well as its connectivity. “There is further potential for growth as there is scarcity of land in the area for further developments, especially landed homes.” Wong adds. Like this story? Read more stories like this in TheEdgeProperty.com pullout that comes out every Friday. Get your digital copies here. This story first appeared in TheEdgeProperty.com pullout on Sept 9, 2016, which comes with The Edge Financial Daily every Friday. Download TheEdgeProperty.com pullout here for free.